Light up your lobes! 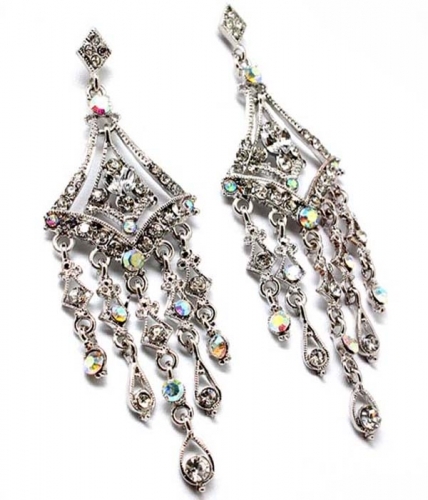 The Amelia Earrings feature a silver chandelier shape decorated with dazzling aurora borealis crystal stones. Designed to take your evening look to the next level. Purchase a pair of our chandelier earrings and other jewellery to qualify for a free bonus bling gift.